Windows Server 2019 official download release is imminent. There were actually links that were posted over the weekend showing download links for Windows Server 2019 RTM. 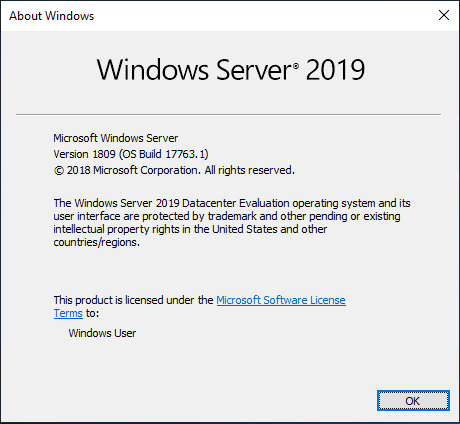 Windows Server 2019 as we have covered in quite a few different posts, brings a lot of new functionality and enhancements to the table. Microsoft has certainly targetted hybrid cloud as the business problem that Windows Server 2019 is more than capable of handling. Many organizations today are making use of both on-premises and public cloud infrastructure. With every Windows Server operating system release, one of the most anticipated new features that administrators are eager to get their hands on is the new capabilities found in Hyper-V. In this post, we will take a look at Windows Server 2019 Hyper-V New Features and see the new enhancements found in the latest Windows Server operating system as they relate to the Hyper-V hypervisor. One of the major downsides of ReFS in Windows Server 2016 and prior was that ReFS could not be used with deduplication. Deduplication provides tremendous benefits, especially when it comes to Hyper-V since virtual machines running the same operating systems generally have a tremendous amount of duplication at the block level. With Windows Server 2019, now ReFS can be used with deduplication. This results in a tremendous amount of space savings. This helps to close the gap with using storage spaces direct and other SDS solutions on the market such as VMware vSAN that has already been able to do deduplication and compression. This will help to make ReFS an actual viable solution much more so than it has been in previous Windows Server releases. Microsoft realizes just how important software-defined storage truly is in today’s enterprise datacenter. With Windows Server 2019, a lot of development and effort has gone into improving both the performance and scale of Storage Spaces Direct. Storage Spaces Direct now supports a maximum of 4 Petabytes of storage per cluster. Additionally, Microsoft was able to show a Storage Spaces Direct cluster at Ignite that was able to post a score of 13 million IOPs for an 8 node S2D cluster. This is a great deal more performance than the Windows Server 2016 S2D cluster tested previously. Windows Admin center is perhaps the most highlighted single piece of software that I can remember from Microsoft in times past. Windows Admin Center is talked about just about everywhere and it is certainly a cornerstone utility for Windows Server 2019. In fact Microsoft has even written some of the Windows Server 2019 platform to be accessible only from Windows Admin Center. As relates to Hyper-V, much more Storage Spaces Direct information is available from within the Windows Admin Center console, including a historic view of performance and health for the Storage Spaces Direct platform. Windows Admin Center also provides a centralized management plane for Hyper-V Clusters, allowing changes to be made for multiple Hyper-V hosts at the same time. Tremendous functionality is being built inside of the Windows Admin Center for Hyper-V capabilities. Third-party vendors also have the ability to extend the interface to include customized management plugins for third-party hardware and solutions. Shielded VMs allow virtual machines such as domain controllers to be encrypted when they are on disk. This helps to protect against rogue administrators or attackers from gaining access to the virtual disks, taking them to another Hyper-V environment and attempting to crack passwords at their leisure. Shielded VM attestation has been improved with Windows Server 2019. The Active Directory based attestation for the host guardian service is being deprecated in favor of a host key attestation mechanism. The host key attestation mechanism provides the same basic functionality as the Active Directory based mechanism and is easier to configure. Linux VMs are now supported for shielded VM protection. Additionally, there is a new authorized host cache that allow caching VM keys for starting up virtual machines even when the host guardian service cannot be reached. This new functionality drastically improves branch office support in making use of shielded VMs. New functionality has been introduced in Microsoft’s software defined networking technology. Encrypted subnets allow administrators to specify subnets of traffic to encrypt in the software defined network infrastructure. This ensures that attackers who might have or gain physical access to the network infrastructure cannot sniff network traffic and see traffic traversing the software defined networking overlay to and from Hyper-V virtual machines. Microsoft has introduced a greatly simplified architecture for Windows Server Failover Clustering technology. In Windows Server 2019, they call the technology “True Two-Node” clusters. The true two-node technology greatly simplifies the witness share that can be utilized for quorum in a two-node configuration. Traditionally, this witness node had to exist on a file server on-premises or in Azure. While not that difficult to satisfy, Microsoft has taken this even further with the true two-node configuration. With true two-node, you can use a commodity router that supports mounting a USB key in a USB port on the router. The router then allows configuring a share and permissions to the share. With true two-node you can use this share as a witness share to serve as the quorum mechanism with the two-node cluster configuration. This makes the quorum functionality for two-node extremely easy and it doesn’t require any type of Internet connectivity to work. This makes it the perfect solution for edge environments that may not have extra infrastructure to service the quorum functionality or may have sporadic connectivity or isolated connectivity. Windows Server 2019 Hyper-V New Features are exciting. The new enhancements will certainly take Hyper-V to the next level for organizations making use of Hyper-V as their enterprise datacenter hypervisor of choice. 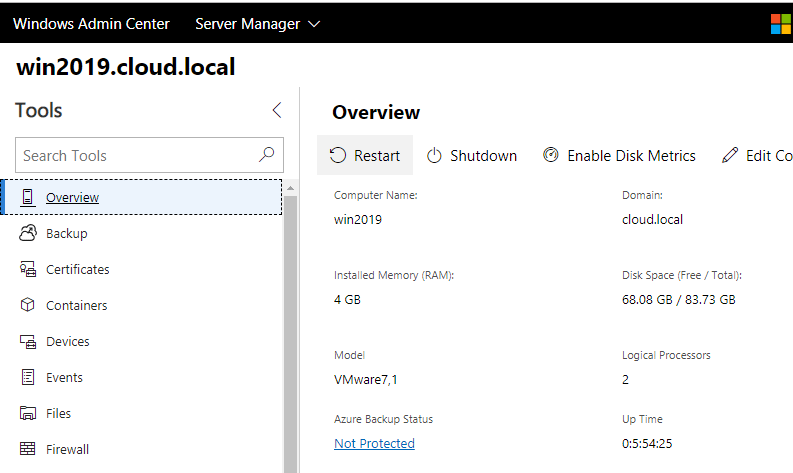 Such features as ReFS with deduplication, storage spaces direct improvements, Windows Admin Center, Shield VM improvements, encrypted subnets, and simplified two-node clusters serve to make Windows Server 2019 a powerful Hyper-V platform. The download should be available any day now so administrators will be able to get their hands on the latest and greatest functionality.